Beluga is the largest of the sturgeon, it can measure up to 6 m, weigh up to 1000kg and live over 100 years. Its eggs are the largest, fatty and creamy, they come out well. It is the most expensive because the rarest. This is a caviar raised in the Black Sea, from a sturgeon Huso Huso, he approaches the native wild caviar from the Caspian Sea. 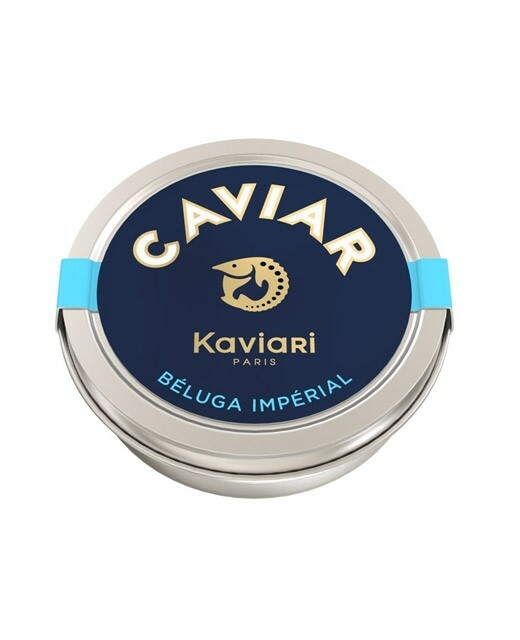 The Beluga caviar has a smooth and creamy texture that will delight the connoisseurs. Its very large grains (3-4 mm) have a very thin membrane, therefore, they burst easily in the mouth, releasing a long finish with slightly buttery notes with rich and varied flavors. Its color varies from light gray to jet black. Sturgeon eggs, salt, preservative (E284). Today, sturgeon is a protected species. The mission that Kaviari has set itself is to find the best farmed caviar in the four corners of the world. The Kaviari House, in a real ethical concern facing dwindling sturgeon, is actively involved in its protection by working closely with the best aquaculture farms, and by developing a range of farmed caviar worthy of the best wild caviar. The highest importance is given to the choice of breeders and the Kaviari House only works with those who have the EEC approval, in accordance with the new requirements of sustainable development (natural ecosystems, water and food quality). Progress in modern fish farming have significantly improved the sturgeon breeding techniques and manufacturing methods. 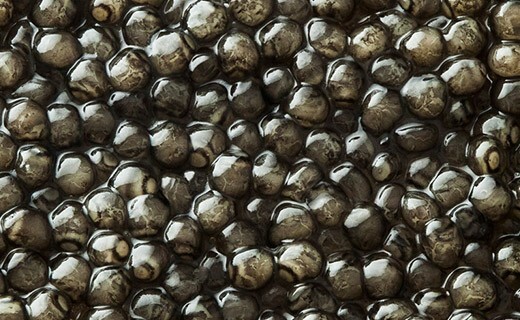 The farmed caviar thus obtained is much closer from flavors of the wild caviar. The ideal quantity of caviar served varies from 15 to 20g per person.